You get free access to retargeting your donors on bitLanders for further promotion, and totheir profile. You reach out to bitLanders’ 500,000 users and their 180 million fans and friends. You get your dedicated charity page that you can promote on your own networks. 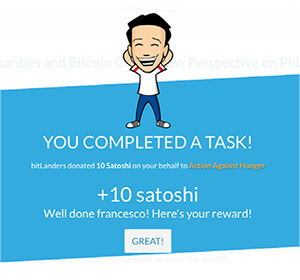 You get a profile on bitLanders to share your videos, pics and news, and monitor the donations. You can receive micro-donations as low as 1/500 of a cent from a potential of 7 billion people. 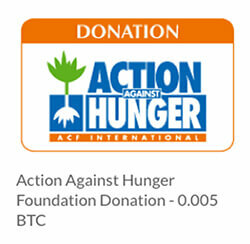 bitCharities gathers an average of 10,000 daily donations. Or via Charities Landing Pages. increasing their interest in their cause.